Welcome to Zombie Camp! The go-to place for hard-working zombie parents to drop off their zombie kids for the summer, so they can focus on just trying to make an unliving. Camp Wanachompya teaches all the basic skills-shambling, spotting imposters, slow dodge-in order to survive the human apocalypse. 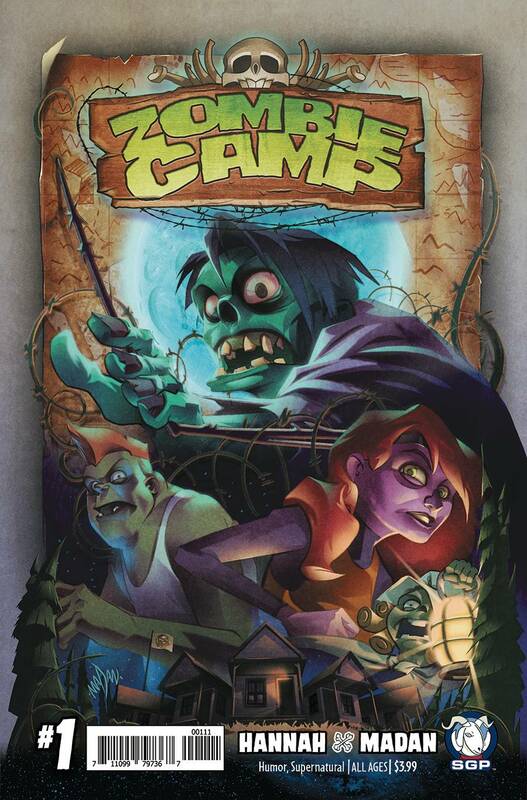 In our first issue, Johnny hears a rumor that Sarge's body is hidden somewhere in the forest outside the campground, so he recruits Violet and some of the other campers to go on a mission to find out if it's true.